ROANOKE, Va. - April 16, 2014 - PRLog -- Commonwealth Dental Clinic, a new dental office designed to fill a surprisingly large void in dental care, will be opening in Roanoke, Virginia on Friday April 18th. Over 33,000 adults in Roanoke City alone do not have access to dental care because of financial reasons, and rely on charity or Medicaid for their dental care. (US Census Bureau 2008-2010, Roanoke Valley Community Health Needs Assessment 2012). Often times, patients must travel out of town or wait long periods of time in pain and poor dental health before they can find someone to help them. Charity clinics and hospital systems are heavily relied upon, but cannot come close to keeping pace. The number of private practices serving this community need is very limited. Conceived by Dr. Greg Harvey and Josh Nelson of Blue Ridge Dental Group http://www.BlueRidgeDentalGroup.com , Commonwealth Dental Clinic will seek to fill this void in care. “Our offices frequently field calls from patients asking if we provide Medicaid services, and we’ve always had to apologize and say no. We didn’t even know who or where to refer them to” says Josh Nelson, VP/GM of Blue Ridge Dental Group. Dr. Harvey and Mr. Nelson determined that a financially sustainable clinic (requiring no government grants or volunteer work) was a viable option. Mr. Gary Helton, formerly of Carilion’s Dental Clinic, has since joined the leadership team to manage the clinic. 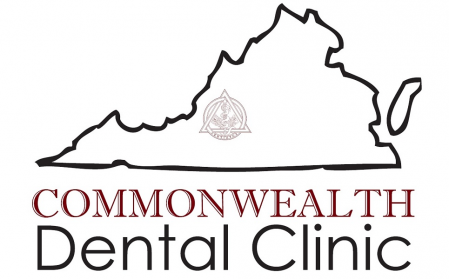 Commonwealth Dental Clinic will open in a newly renovated and technologically up-to-date facility conveniently located between Downtown Roanoke and Carilion’s Roanoke Memorial Hospital at 1121 S. Jefferson Street. Dr. Greg Harvey and Dr. Tom Gallaher (of Blue Ridge Dental Group’s Salem office) will be providing Dental Medicaid services such as comprehensive and emergency exams, digital x-rays, extractions, and infection control. Low cost dentures will also be available, but is not a covered service by Medicaid. These services are also available to non-Medicaid patients, at significantly reduced fees. The clinic is also in talks with a couple local Orthodontists, and is working towards offering Orthodontics for Medicaid patients. DentaQuest (managers of Virginia’s Dental Medicaid) and the Commonwealth Dental Clinic look to build a strong relationship to ensure the clinic can continue to serve the Roanoke Community. By streamlining treatment authorizations, building awareness for care, and working to reduce costs, DentaQuest and Commonwealth Dental Clinic share a goal to see more patients and offer quality care quickly.